Hello once again, dear reader. 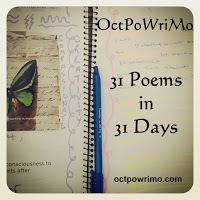 The prompt for day 27 of #OctPoWriMo is sleep. We were given some key words to work with. I was curious as to where this prompt would take me, and the result is quite unexpected. I decided that I did not want to write in my normal form, which is free-verse. I have stepped outside my comfort zone a couple times this month, and have enjoyed every minute of it. Discovering new ways of exercising my brain and honing my craft is exciting and refreshing. I did write an acrostic poem and have a nonet as a WIP, but neither of these will get published for now. Today, I went with a cinquain. You can read about this particular form here. In short, it is a 22 syllable poem, non-rhyming, with the syllables per line being 2, 4, 6, 8, 2. I don't know if I strictly adhered to all the rules, but there are different schools of thought about the cinquain, different ways to do it. I did stay with the syllable count, as that seems to be the most important. I hope you enjoy this poem. It is very much in line with what I posted on day 26. The prompt naturally led me here. Lovely! I remember learning how to write cinquains eons ago...hadn't thought about them for a long while...might have to try my hand at one or two. Thanks for the beautiful reminder of the art. There's a gentle kind of yearning to this. I like how powerful it is, for something so simple. Bravo for trying something different. You certainly wrote an effective cinquain! I'm a great fan of brevity in poetry - it forces us to condense, with just enough words to get across what we want to say.